Today is my birthday, so I thought some personal boasting was in place. I know articles like this typically start with “it is not about me, but you, the reader,” but seriously, unless I am giving the money away (I’m not), saving helps… mostly me :). A while back I read a very inspirational article by Kate McCulley (Adventurous Kate), on how she saved 13k in 7 months. At the time, I was in the middle of my own savings journey and thought, “When I’m done, I should tell my story too!” After all, there is more than one way to do it, and the more methods out there the better. Whether or not this gives you ideas on how to save money to achieve your goals is not really my objective here. I know people are stubborn and don’t change easily, so I am not here to convince anyone of anything. I’m just going to tell you how and why I did it. Why are there pants in the background? And who is that kid? For those of you who have been following the blog for a while, you know that I have taught in South Korea for four years, so why did the savings only happen in three? My first year in Korea included four trips abroad (twice to China and once to Cambodia and Vietnam) that set be back a bit. After my first contract, I returned home and took yet another trip, a two month stay in Mexico. While I did leave Korea with around $6000 USD, after 4 months of unemployment, credit card payments, and my student loan payments, I returned for a second year as a teacher with almost the exact same debt as that which I started. Back to square one. My first year was fun, but I saved virtually nada! Saving takes planning, very detailed planning. I didn’t look at my bank account one day and notice I had a bunch of money. Three years ago, I realized that I was kind of stuck. While I wanted to work and live in another country, my financial responsibilities to my student loans ($250 a month), my credit cards ($100 a month), and what I owed my mom (about $4000) left me with little choice, but to take a higher paying job (Boo hoo, I know. But, I am aware of how lucky I was to have landed this job.) with much longer hours in the same country. If I was ever going to be debt free, I needed to have a long term plan. I started saving to give myself the freedom to roam the world and live in places that pay less without having to worry about the debt I had at home. 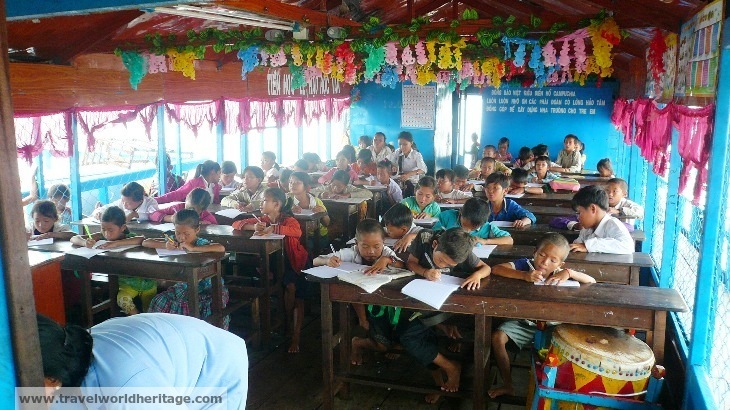 I wish I could teach these kids on the Cambodian Ship School without worrying about the money. From this, I found out that if I saved roughly 15,000 a year, I would be debt free in three years. I also solved how much I was paying in interest, how exchange rates affected me, how long it would take to pay off my loans, which credit card I should pay off first, etc. Given that my new job was paying me 40% more than my previous job, I thought it was doable with a few sacrifices. My journey starts with $42,000 of debt. I am not a big spender, and given the cost of living in Korea, I didn’t have to change much about my day to day life. One thing I did have to give up was international travel for 1 year. I know that this doesn’t sound like a big deal for most people, but I was hooked. The previous year resulted in moving to Korea and a total of 5 trips abroad! I decided that my first year of saving should be the a good one because who knows what the future holds. However, my job pays for all of the above and deducts it from my paycheck. My post-utility bills check was roughly $2300 a month the first year. I opened a Citi account in the US, because there is a Citi Bank in Korea. You can transfer between Citi banks for free! 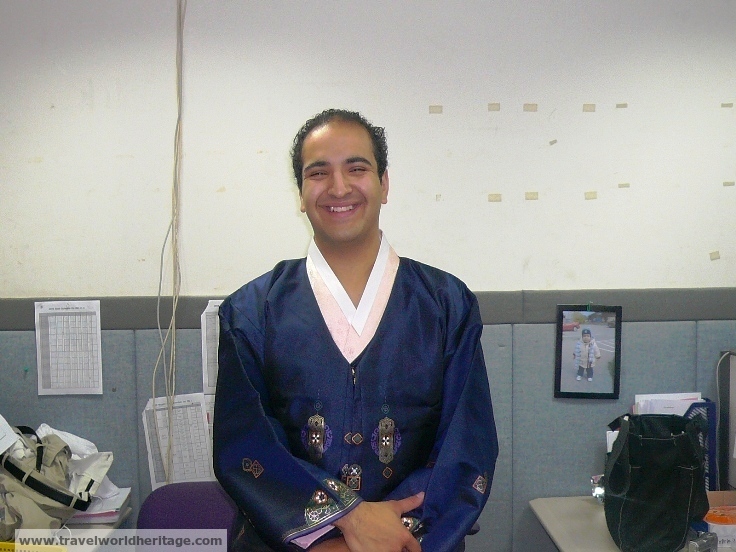 I paid about $50 per month to wire money my first year in Korea. That is a savings of $600! I got into beer. All my life before now, I was a mixed drinks guy. This gets pricey as they cost twice as much as domestic beers. I never use coins. If I purchase something that is $1.50 for example, I write it down as if it was $2 and put the 50 cents in a piggy bank. I average about 300 dollars in coins per year. Towards the end of the year, I started using cash for everything. I am a firm believer that cash has value in your mind, credit or debit does not. It really helped me limit my expenses (but backfired a bit, more on this later). I got a girlfriend. Having a girlfriend increases dates, but decreases on those nights going out with the guys. For me, it has been a money saver, but if you have a high maintenance girl, this could definitely have the opposite effect. Sidney is one of those girls that insists on paying for her own stuff and is completely independent. It is one of the things I (and my wallet) respect most about her. This year started with getting paid my severance payment ($3000), and my income tax ($300) together with my first paycheck. I also got a small raise, and there were more opportunities to do extra work at home from grading papers to doing quizzes for books. I took every opportunity I could and averaged an increase of about 200 USD a month. 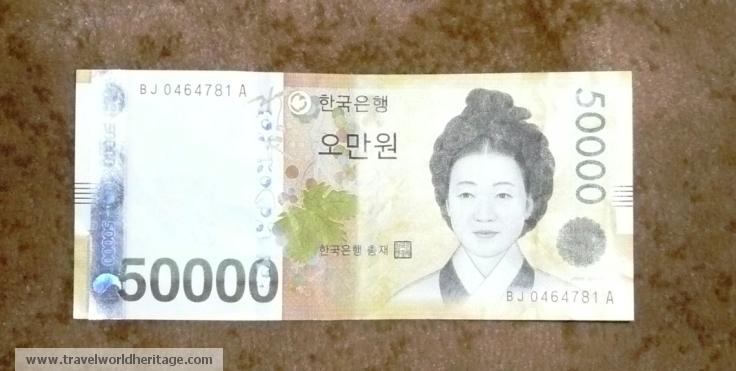 The USD to KRW exchange rate took a hit (from around 1120 a dollar to 1137), but it was not a big deal. My automatically deducted monthly payments remained the same, so I now had about $2500 spending cash after bills and taxes. I know it is not scuba, but you get the idea. I ended my gym membership and started bodybuilding at home! Fine, I just got lazy. I bought ski clothes so I wouldn’t rent all the time. I knew it was a hobby I liked, and it had resale value, so it was a wise investment. As part of my re-signing, my boss generously credited me a flight of equal value to a flight back home. As a result, I took a flight to Italy and had to simply pay the difference, which was about $130. This saved me about $1500. As a side note: On Feb 13, 2013, I launched Travel World Heritage. This becomes a big part of my life in the upcoming year. On the top of the Cathedral in Milan. Keiko tries to feed deer in Nara, Japan. This pastry was simply amazing. This is one of the oldest and best restaurants in Hong Kong. Sidney’s got her Barking Pass! You’re never seen an adult get so excited about character autographs! The Ryukyu castle in Okinawa. The waters of Okinawa, Japan are simply gorgeous. I am feeling pretty damn good that I am on task to pay off my debt, but at the same time, mad that I spent so much the previous year. By now, I am starting to think that it may be possible to end this year debt free AND with some cash on the side. I thought about extending this ‘saving project’ to 4 years to have more cash on hand, but if it could be done in three, it would be much better. Although I had already paid my taxes, a new Korean law meant that I couldn’t get my severance until after I quit working for the same school. While I was initially bummed, I later came to think of it as a savings account. By the end of this year, I would get $6,000 in severance (2 years worth), and my pension would be about $9,000 (three years worth). As far as my salary goes, I got another small raise. The USD vs KRW exchange also took a huge swing for the better, averaging about 1090 won per USD this year. My automatically deducted monthly payments remained the same, so I now had about $2650 spending cash after bills and taxes. Balance: ~$2100 a month or $25,200 -1500 (2 weeks unpaid extra vacation) -$200 income tax (again! )+$800 (sold my piano, motorcycle, and a few more things when I left Korea) = $24,300 a year. I stopped drinking coffee every day. I used to get 3 double shots every morning which was about $4. Instead, I bought an apple or apple juice. Like last year, my boss paid the bulk of my flight to Peru. I had to pay the difference, which was $80. Furthermore, the route was a new one for American Airlines and they offered triple the miles. In that trip, I have acquired 20,000 miles with AA! Went on $0 days. When I noticed that I didn’t spend money one day, I would try to see how long I can go without spending money. It became a game for me. Sporadically put $10-$50 in my coin piggy bank. It was a pleasant surprise at the end of the year. I sold most of my big things at the end of the year since I was leaving Korea for the foreseeable future. I made $800 from my motorcycle, an external hard drive, my ski clothes, and the piano. I stopped showering and saved tons on body wash. Just kidding, just making sure you are still listening. My job offers a traditional Korean lunch for about $3 a meal. I decided to take this offer on my last year. Saved on lunch. But wait, remember what I said about severance and pension, that came out to be $15,000. $2,000 – $15,000 = A surplus of $13,000 USD. A weird turtle in the Everglades. Machu Picchu, smaller than I thought. Cuy for lunch in Cuzco. The Huacachina Oasis in Ica, Peru. I tempt fate by poking a venomous Komodo Dragon. 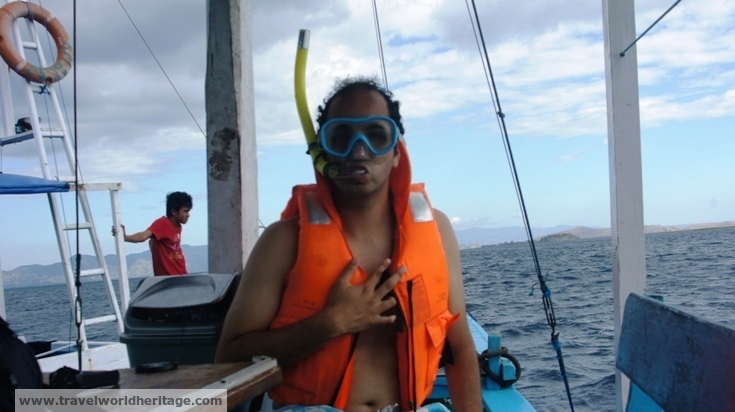 The waters of Komodo are pristine. Komodo is even more beautiful from above. 10am-2:30pm – Teach pre kinder (years 1-2) or pre-school (year 3). While there are things I wish I knew before becoming a teacher in Korea, I got the hang of it by the end. I loved my job and the morning was my favorite part of it. 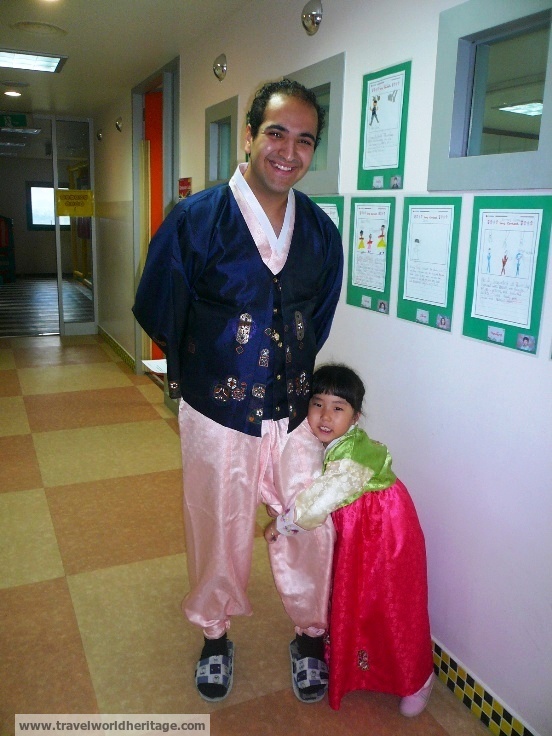 Teaching is something I want to be involved with long-term and being in Korea has helped me find my calling. Where was I? 2:30pm-3:50pm – Prep period. Time to prepare for the afternoon, go to the bathroom, and regain a little bit of the energy lost in the morning. 3:50pm-8:15pm – Teach elementary school students. While this part is enjoyable (especially te first graders), working 10 hours a day is draining. Some days, I am just beat by the end of the day. 8:15pm-10pm – Have dinner, either by myself while watching some show, or with a friend/coworker. Given our work schedule, your co-workers become some of your closest friends. Same as Monday, except that we get out at 7:30pm instead. Everything is the same up to the end of work. On Fridays, I usually meet up Sidney, have dinner, and go out. I don’t work on nor think about the blog at all Friday and Saturday, although I do obsess a bit about how many views I got every day. Sidney and I go out of town every other weekend. This can be to see a new historical site, or to do an activity like skiing. Typically, we stay in cheap accommodations and split everything right down the middle. We rarely do fine dining, but do like eating out. The weekends are the oasis to an otherwise difficult (but rewarding) week. 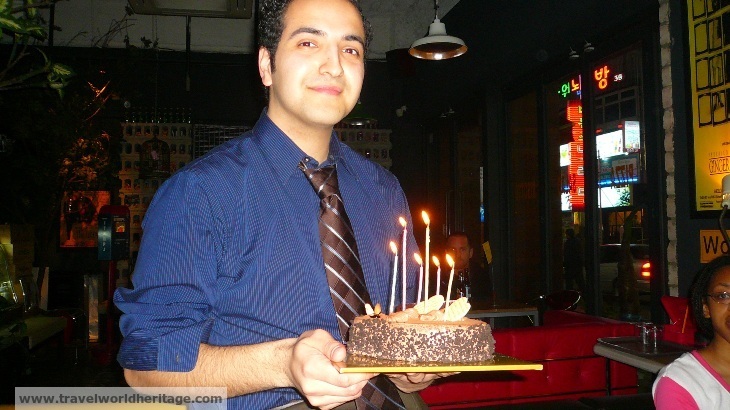 Sunday nights – I usually work on the blog another 3-4 hours. Yup, living the good life. There you have it. In three years, I managed to pocket $55,000 to pay off my 42K in debt and save $13,000. But more importantly, it has given me the freedom to chose where to live next without having to worry about my next credit card due date. All I had to do, was travel the world (oh yeah, and work pretty damn hard). Happy Birthday! Hope you do something fun. I will have my favorite food with some friends! This is so great Julio! I’ve actually done the same thing as you…had a lot of debt when I came to Korea, but at the end of year 4, I now have paid it all off and have about $15,000 saved. With, of course, the best part being that I get to do it while traveling the world. Pretty good! There is no doubt that the money is good in Korea. Are you still there? Wow! That’s an amazing feat! I’m in that range of student loan debt too, and I just keep putting off paying it. You’ve definitely given me a kick in the pants on repaying my loans. Many people will tell you to put it off given the low APR, but personally, it gives me peace of mind to know that I am debt free! It is funny that you would say that. I am actually very conscious about the privacy of my friends on this blog. The original picture that was supposed to go where I am wearing a hanbok is our picture in Lotte World, but decided against it because I didn’t know if it would be cool. I rarely name friends by name for the same reason. If you are cool with it though, I will make sure to keep in in mind for the future! I just stumbled upon your page, and thought it was really cool how candid you were about the way you live, save and organize your finance. Congrats on saving that much and safe travels and happy life! I loved this post. It makes me believe that it’s totally possible to carry a work-hard, play-hard mentality abroad. Wow this story is compelling. Just booked my first trip to Hong Kong Shanghai and Macao and very excited Nov 2-12 for 800$ through a wholesale travel club can’t wait. Any pointers on these destinations? The food is the highlight in all three. Personally, I wasn’t crazy about Macao so spend more time in the other two. Hk, try more markets and less skyline views… Trust me. Shanghai… Grandmothers restaurant at the bund. You’ll thank me later. I just loved the way you live and spend the money you have. That’s just amazing, I am also planning a trip to so many destinations. I hope your travel tips and ideas about how you spent your money, will definitely gonna help me. Thanks for this great article.